Event featuring: William Winter, Skipper Jernigan, Jake Gibbs, and Bouncer Robertson! Al Povall, an Ole Miss Rebel fan of the first magnitude and a student at Ole Miss from 1959 to 1963, has compiled here the stories of sixty Ole Miss athletes who competed for and represented Ole Miss in football, basketball, baseball, tennis, track and golf. The storytellers range from William Winter, who tells of the war and immediate post-war years, to Archie Manning, whose injury in 1970 spelled the end of a twenty-five year period that brought glory to both the school and the players who represented it. 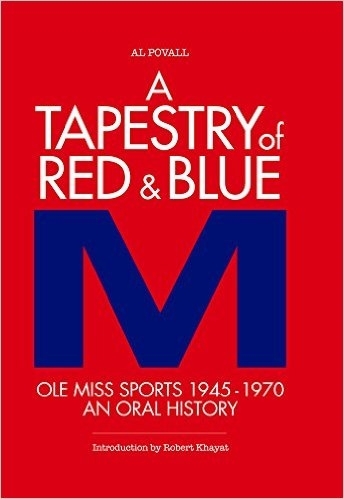 This book is a must-read for anyone who loves sports and is especially so for Ole Miss fans of all ages.